Prices are correct at time of booking and based on tariffs supplied to us by our suppliers. Prices are based on rooming configuration as stipulated ie: Single, Twin, Quad etc. Prices will vary if configuration is changed. Transfer prices are based on numbers as per stipulated, any reduction will in passengers will be adjusted accordingly. A booking is confirmed on receipt of deposit per person as per invoice. An invoice for final balance will be issued approx. 30 days prior to Departure. Balance of booking is required approx. 21 days prior to travel. All bookings are subject to the specific terms and condition of each supplier ie; course dress code etc. Eft payments are accepted, we are presently working on accepting credit card in future months. All deposits received are forwarded to properties booked to secure the accommodation booking. In event of cancellation, any refund will be applicable to the property cancellation fees. No refund is available for cancellations after holiday has commenced or in respect of any tours, accommodation, meals or any other services not utilised. If the weather causes golf games to be cancelled or rescheduled U Choose Golf Holiday will refund any monies that suppliers refund to us. However, please note in most cases this does not occur. All inclusions in package including golf fees and accommodation will be confirmed in writing. Meals, phones, mini bars and anything extra of a personal nature are payable by the individual. 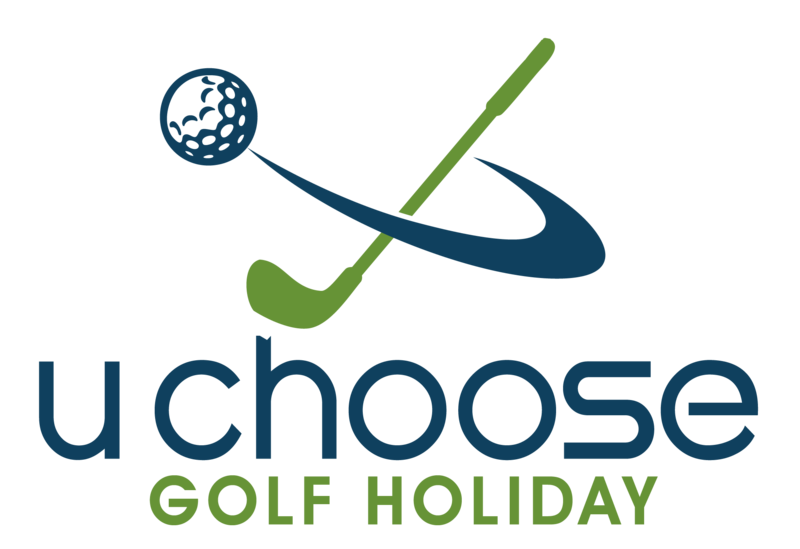 U Choose Golf Holiday disclaims liability and responsibility for any loss, damage or inconvenience suffered by the client as a result of their use of the services provided by the supplier. ‘U Choose Golf Holiday’ disclaims liability and responsibility for any circumstances beyond our control including war, civil unrest, acts of god, terrorist attacks and strike action.